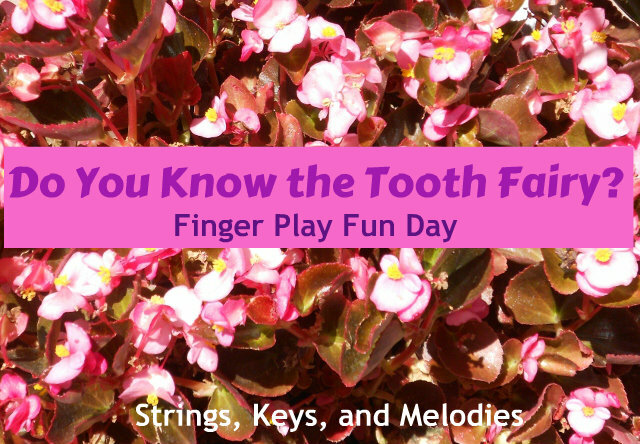 Finger Play Fun Day: Do You Know the Tooth Fairy? Today's theme is all about the Tooth Fairy! The mysterious creature who comes at night to take our baby teeth and leaves money in it's place. Loosing a tooth is an important passage that every child goes through. It seems every family has a different tradition concerning what and how much the tooth fairy leaves behind. But every child gets excited about the arrival of the tooth fairy. There aren't many simple songs about the tooth fairy so I wrote and performed one that everyone can learn and sing. Carolyn, from Wise Owl Factory has written a delightful review of the book, April and Esme: Tooth Fairies by Bob Graham and has made a great tooth fairy power point and free tooth display pdf for classrooms. Do You Know the Tooth Fairy? Oh, do you know the Tooth Fairy? Who takes your tooth at night? When it gets too small. When she takes your tooth at night. Scientists say that hearing begins at 19-20 weeks gestation. That means babies can hear talking, singing, and musical instruments before they are even born! 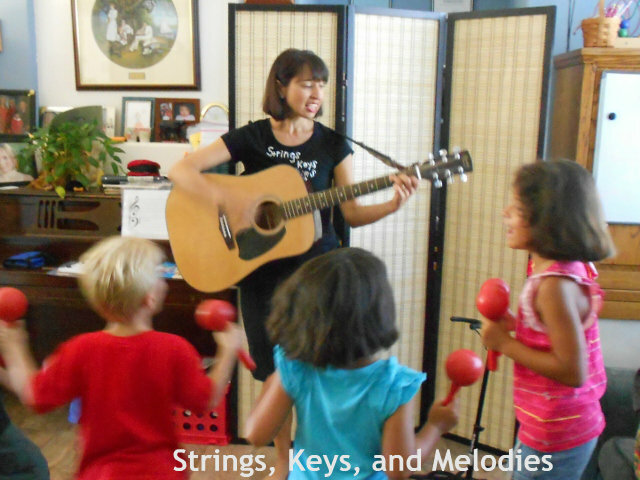 Singing songs lays groundwork for language growth, reading, speaking and self-expression. The best advantage is the potential of music to convey feelings of love, delight and security to baby and the ability to bond the family together. 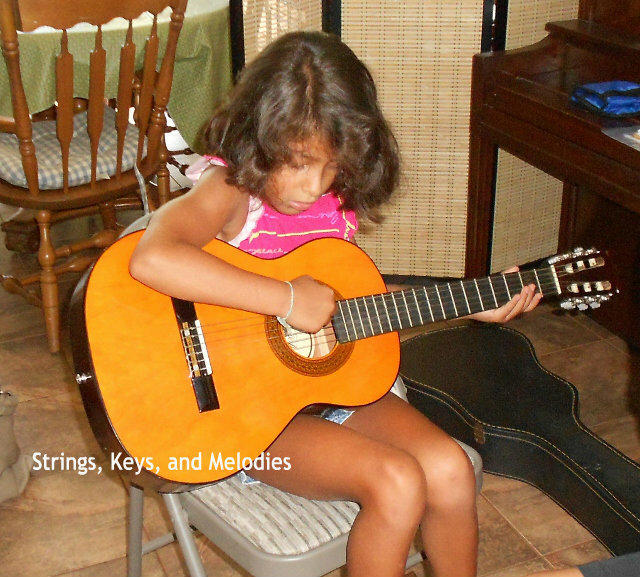 For more advantages of music read The Benefits of Music. 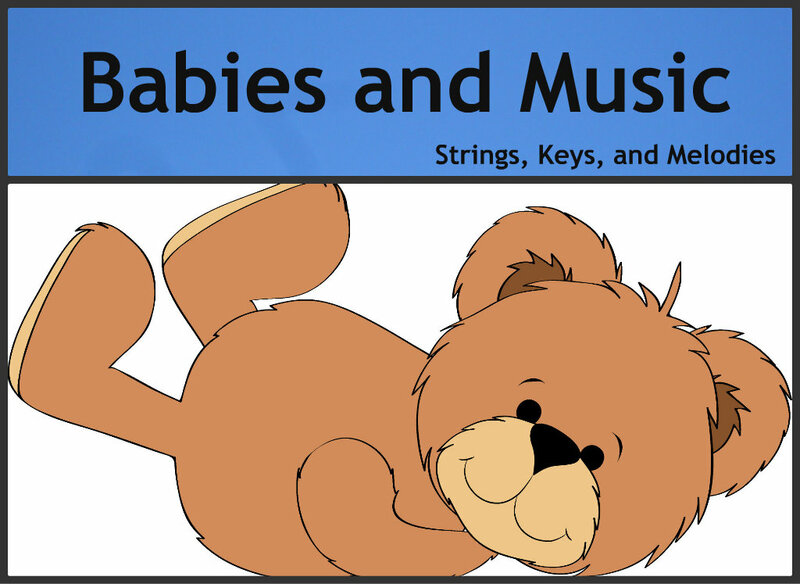 Nursery rhymes and lullabies are used in every corner of the world to teach, calm and soothe babies. The repetition, rhyming words and stories in these songs teach babies language skills, cultural history and beginning math. 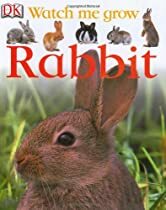 To learn more about how to use nursery rhymes and children’s songs read Teach Your Child Using Nursery Rhymes and Children’s Songs. 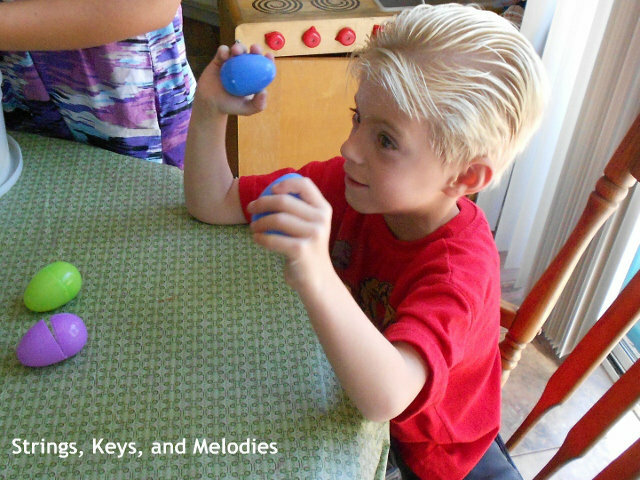 Listening and creating real music helps baby figure out his place in space and time, organize his movements and gain control of his body. Newborns: Sing lullabies to your newborn baby. She will not care what you sound like but she will be soothed and comforted by your voice and the vibration you make while she lies on your chest. 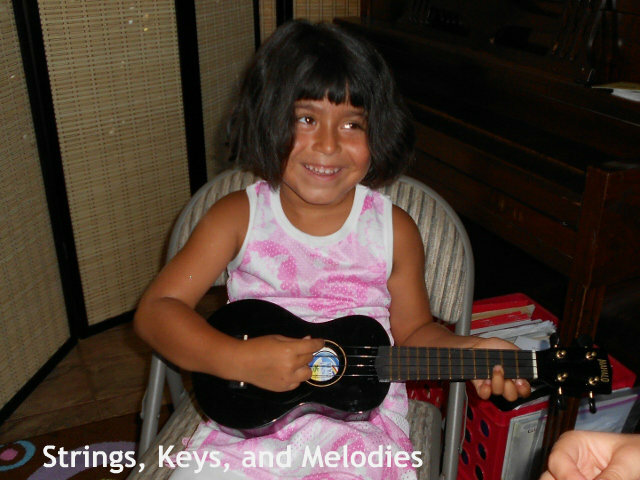 Ready to Play: One of the best ways to engage little ones is through songs and finger plays. You are teaching them about their bodies and the world round them. 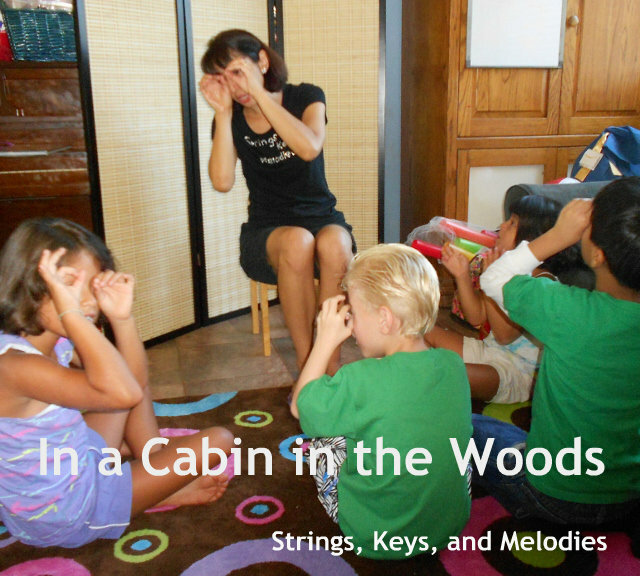 Peek-a-Boo – not technically a song but you do sing-song when you say “Peek-a-Boo” and that is teaching pitch and timing! Ready to Sing: These little ones are ready to join in the fun. There are great songs to help teach and develop gross motor skills and body coordination. 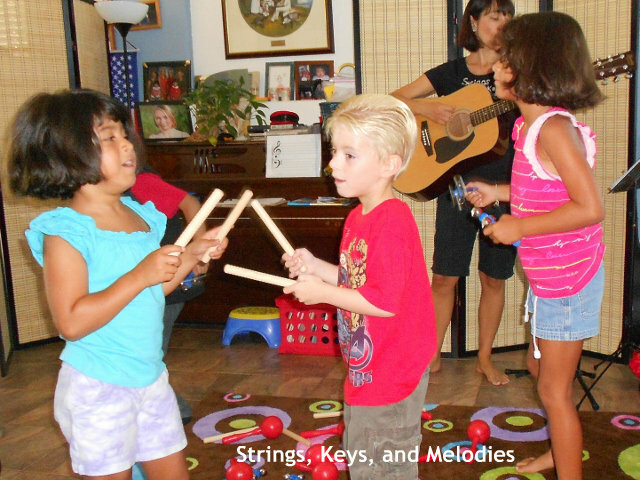 This is also a great time to make music using big fat rhythm sticks, rattles and bells! Movement song ideas: Head, Shoulders, Knees and Toes –even if they can’t stand yet, you can place their hands on the correct body parts! BINGO – substitute your child’s name and he will soon be spelling his own name! 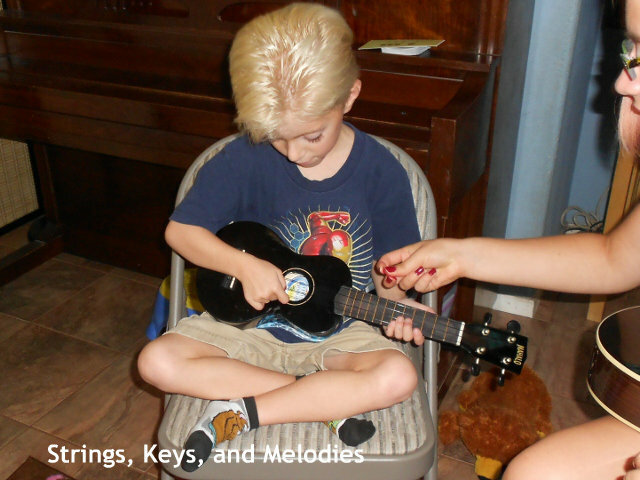 Music comes so naturally to babies. Lullabies can calm and soothe. 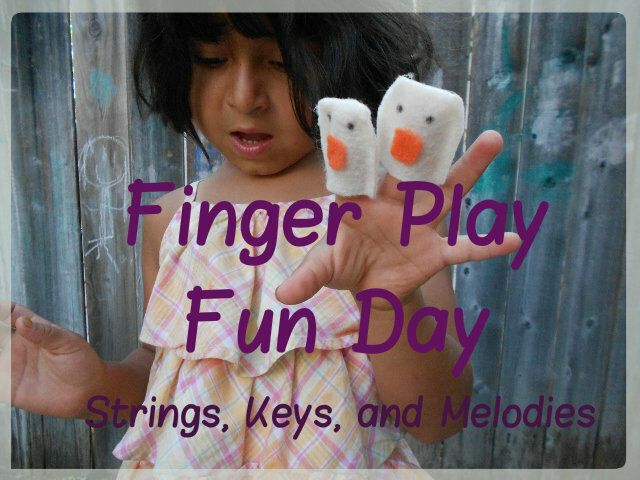 Songs and finger plays can teach and entertain. And singing together will show love and create wonderful memories. 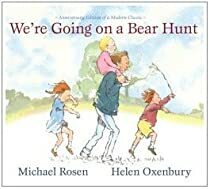 Today, for Finger Play Fun Day we are going on a bear hunt! This song is a great way to enjoy music as a story. Each verse is another obstacle to get through to get to the bear. 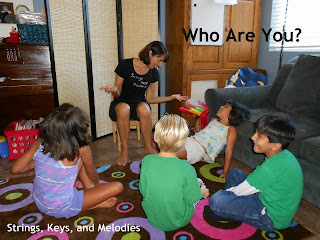 There are a lot of movements so this is a great one to sing when children need time to wiggle! This song also teaches sequencing as each verse is sung in order and at the end you have to go back through the obstacles from last to first. There are many different ways to sing this song. I put together my favorite verses and made up this version! Remember, every line is repeated! 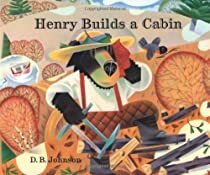 Carolyn, at Wise Owl Factory has done a great post with a review of the fun book We're Going on a Bear Hunt by Michael Rosen. 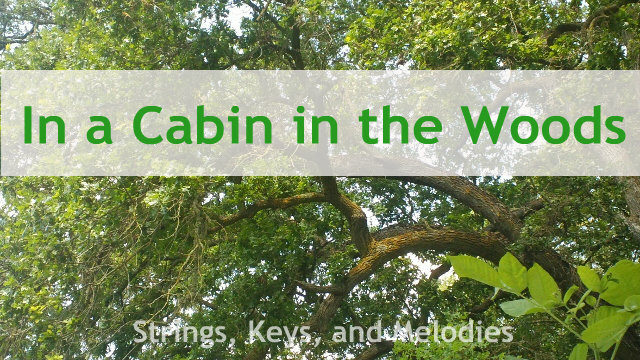 Check out the wonderful free PDF and free PPT she has made to go along with the song. This summer we have played a lot with water while the weather is hot. 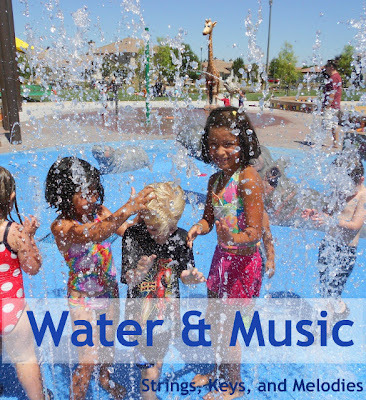 Besides cooling us off, water is a natural source of music! It makes the prettiest sounds when it splashes and trickles. 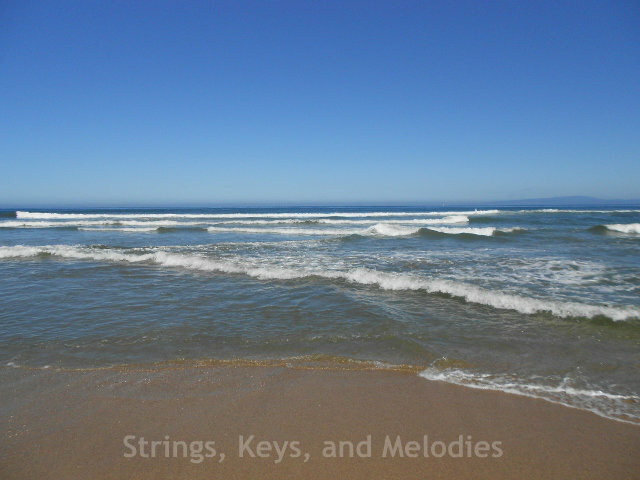 One of my favorite pieces of music is Water Music by George Frideric Handel. Handel wrote Water Music in 1717 for 50 musicians to play for King George I and guests while floating down the River Thames. It is a lovely piece. I like to watch it performed by the English Baroque Festival as performers dressed in the style of the day dance in Baroque style. A fun way to experiment with water and sound is to make a water wall. We made holes in a bunch of plastic containers and bottles and zip tied them to an old piece of frame we had left over. We also used funnels and swimming noodles to make curves. 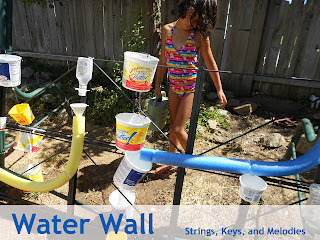 It took some time to line up the holes and containers so that the water would drip into the bottom container instead of onto the ground. We loved how the water flowed through one container into another. And it made the most beautiful sounds! This is my favorite part of the the water wall. We put a bunch of holes in the lid of a plastic jar and it would flow into another container. 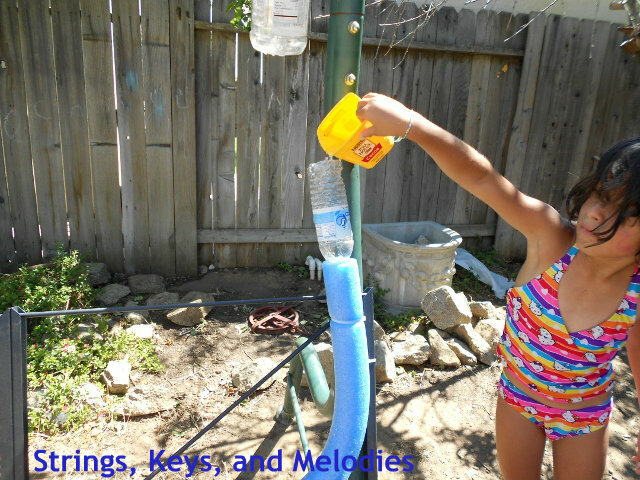 This activity taught about the sounds water made plus a lot of engineering principles! 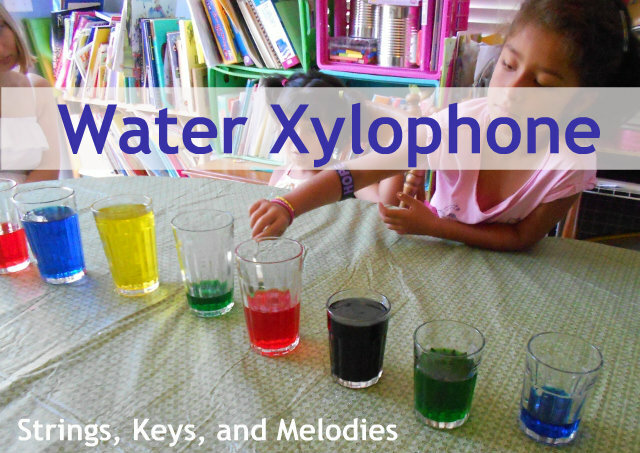 A great way to play with water is to make a water xylophone. Fill a bunch of glasses with varying amounts of water. We put food coloring in ours to make it pretty. Take a metal spoon and tap on the glasses. The different levels of water will make the glasses have a different tone. You can keep them all mixed up or you can put them in order from highest to lowest. The girls made up all kinds of songs with the xylophone. It is a really interesting and absorbing experiment. There is nothing as relaxing as the sound of water. 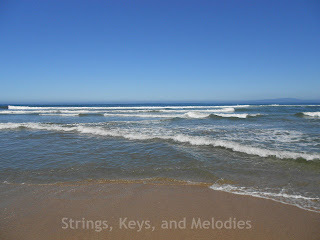 Just imagine the ocean's waves crashing on the beach or a mountain stream trickling through the forest. 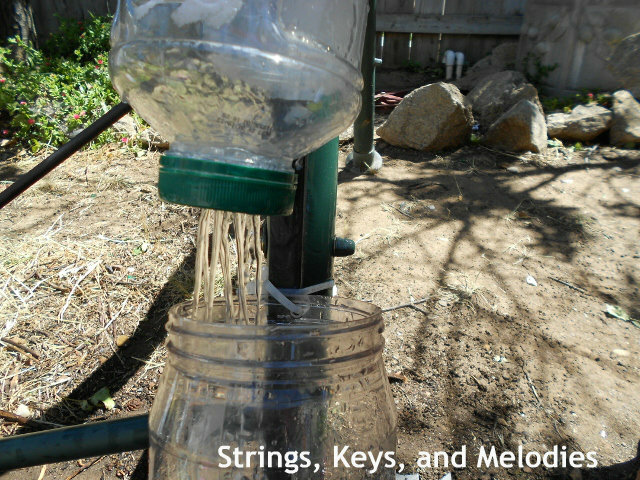 It is natural music made by water! Today we are singing 10 Little Turtles. 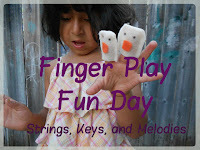 This finger play is a great counting song that teaches counting forward 1 to 10 and backward from 10 to 1. It also works on fine motor skills as the children hold up their fingers as they count up and back. It seems like this should be easy to adults but it really takes a lot of coordination and finger dexterity! 10 little turtles in the pond. 1 little turtle in the pond. 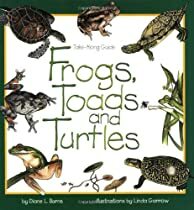 Today, Carolyn Wilhelm from Wise Owl Factory has written a post all about turtles. 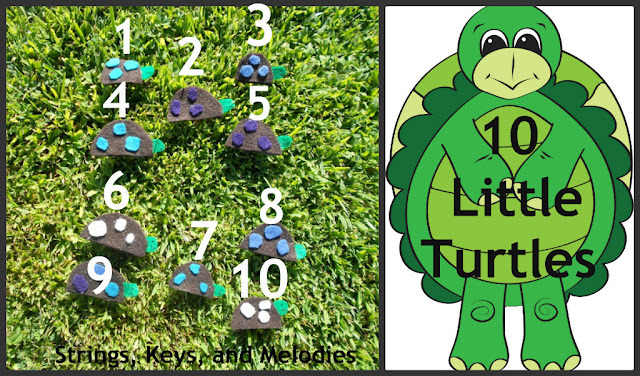 This fun power point story has the children counting to 10 by ones and by twos! 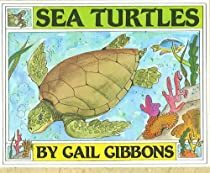 Carolyn has also done a wonderful job reviewing a few children's turtle books. I have put the books she has reviewed into Our Music Store under Children's Books. And of course, you can always check them out from your local library! 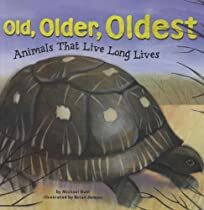 These PDF coloring pages talk about how long some animals live and is a great companion to Old, Older, Oldest. Have fun and sing often! We had another fantastic week of Explore Music Camp. 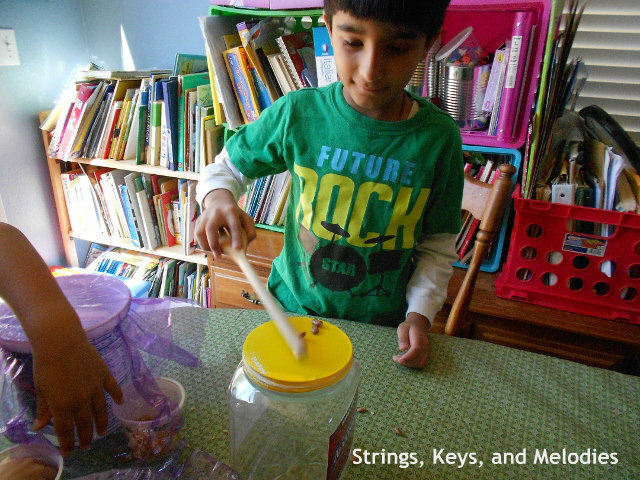 Each day we exlored a different instrument and did fun experiments and games. 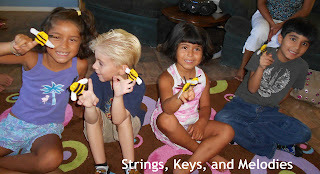 Everyone used bee finger puppets to act out the "Here is the Beehive" finger play. Having fun acting out "In a Cabin in the Woods". 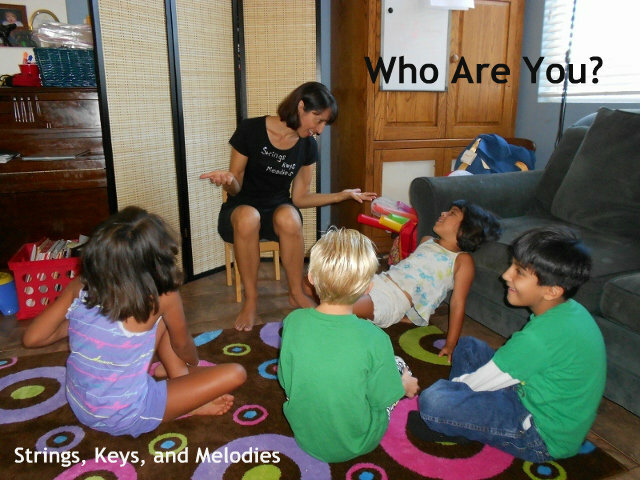 Singing the call and response song "Who Are You?" Making music with the guitar and maracas. More music making with guitar, rhythm sticks and bells. We did a fun experiment with drums, rice and beans. 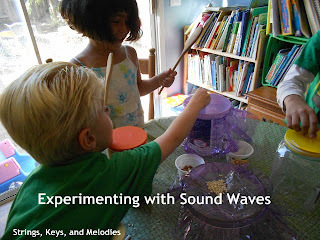 We hit the drums to see the rice and beans jump and move just like sound waves. I got the idea and directions for this experiment from Kids Activities Blog. Check it out for the supplies you will need. It really is easy and the children enjoy bouncing rice and beans all over the table and floor! 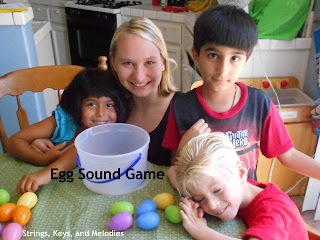 We also played the Egg Sound Game. The children shake the eggs and try to match the two eggs that have the same contents. To make your own game visit my past post Match the Sounds. 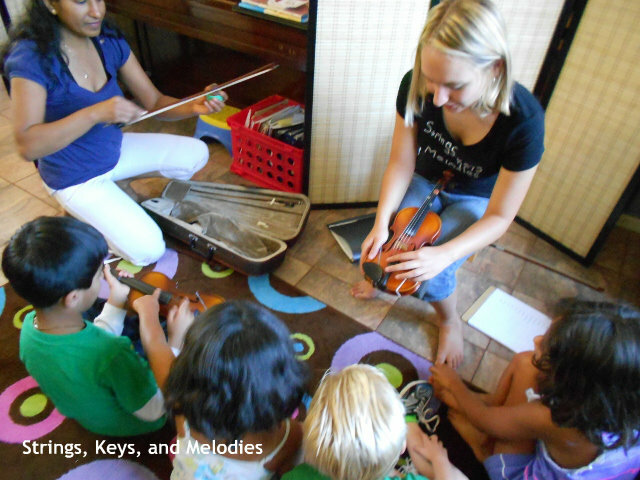 Rachel is explaining the parts of the violin. The ukulele is a great instrument for little fingers! 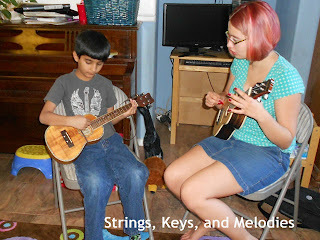 Amanda did a great job introducing the students to strumming and playing chords on the ukulele. Guitar is a very popular instrument. Everyone wants to be a rock star! This week allowed the children to try out different instruments: piano, violin, ukulele, guitar and voice. It was a great experience for them to hold each instrument and try to make sounds with it. We also had fun playing games and doing experiments. 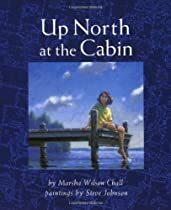 I am already getting ideas for next summer's camp! 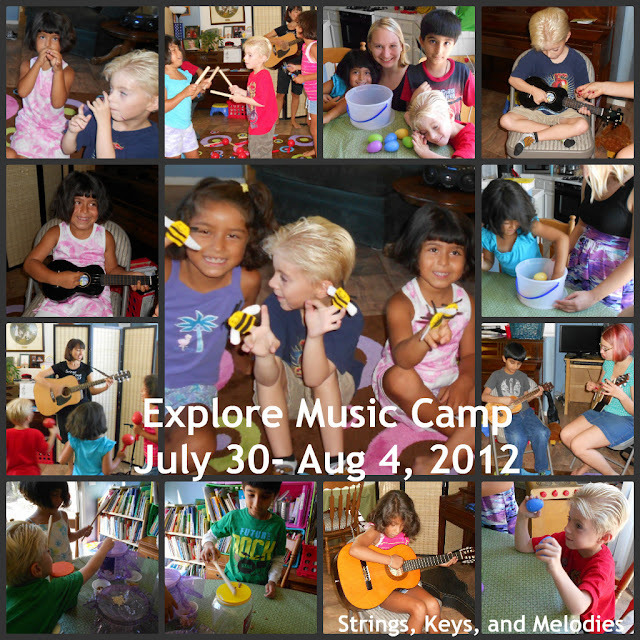 Check out our other week of music camp! Bird Songs and Nature - Healthy for You and Your Mind! Every weekend for the last few months, my family and I have been visiting with wildlife in the middle of a beautiful preserve. There are so many wild flowers and trees. The whole walk/hike is serenaded by wild birds singing their signature songs. It is so pretty and so relaxing to be out in nature- even with 2 children who don't know the meaning of relax! 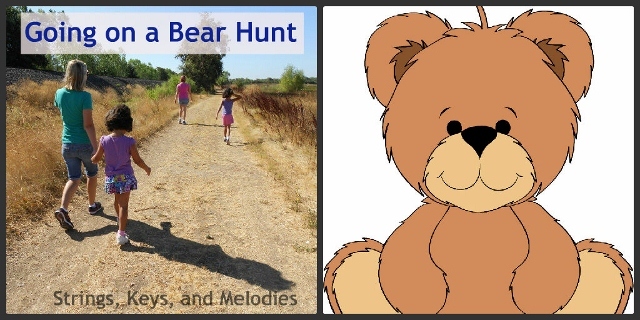 The trails are just right for little ones and beginning hikers, even limited walkers could enjoy shortened trails. And we get to hear birds singing! 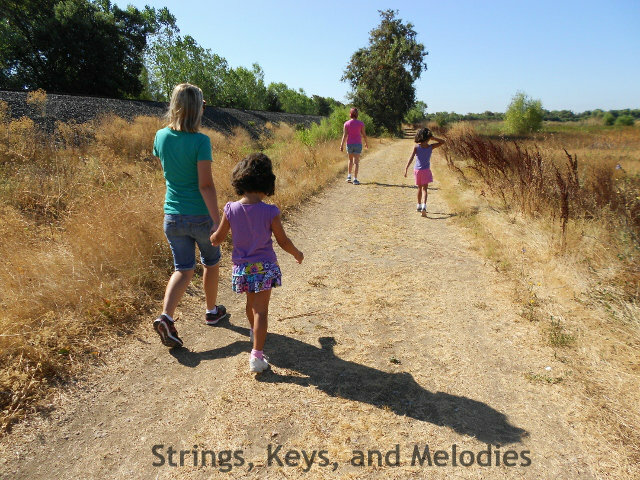 The place we have been going to is the Cosumnes River Preserve. If it is not close to where you live, then I would challenge you to find a bike trail or hiking trail near your home that gets you out into nature. We all need to get away from the noise of our neighborhoods and listen to the quiet! It is so healthy for you! The other night, I was reading a chapter in The Power of Music by Elena Mannes that spoke about what happens to our brains when we hear birdsongs. Studies have been done to analyze brain activity when subjects listen to human song and to birdsong. She explains "the scans showed the listeners showed more emotion when they heard birdsong as compared to listening to beautfiul songs sung by a human voice. " 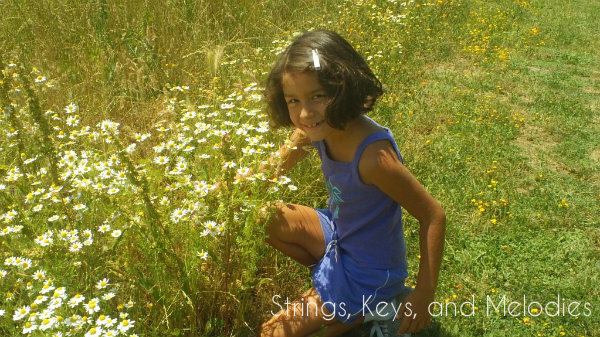 Later she writes, "One possible explanation for the increased brain activity when subjects listened to birdsong is that they were trying to find the patterns in the birdsong: human song is more familiar." I knew we were more relaxed and happy after an afternoon of listening to birds singing. But now, it is possible that we were also stimulating our brains while listening to the music of nature! By stimulating our brains, we are staying mentally healthy. Making new neurological pathways is always a great idea. 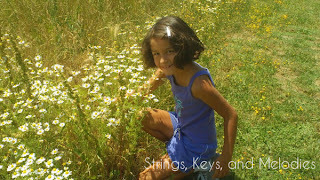 I want to challenge you this summer to find a place in nature for your family to enjoy. You can find an easy hike like we did, go to a quiet lake or pond in a park. Get away from the loud noises of city life and hear the birds! 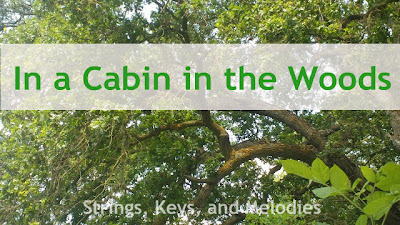 Carolyn, at Wise Owl Factory has made a wonderful Nature Walk checklist and a Bird checklist. 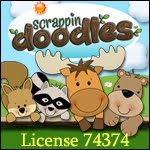 Print them out and take them with you to add to the fun! I was so amazed at all the different birdsongs, I made a short video. If you can't see the video, click here. 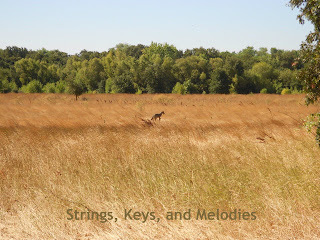 We were amazed today to see a coyote playing with something in the grass! We watched for about 5 minutes before he heard us and took off running. It was awesome to see! 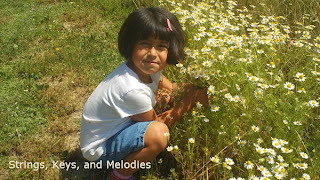 For another nature idea please read Take a Nature Sound Walk.